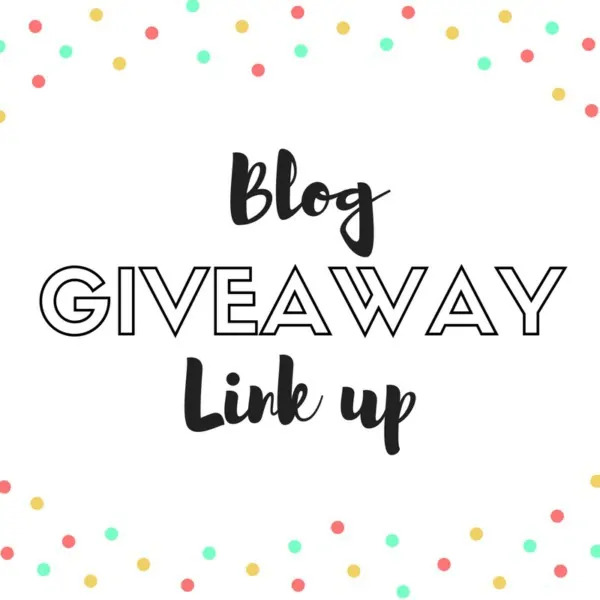 Welcome to the Blog Giveaway Link Up! Enter to win free stuff by entering these live blogger giveaways! This Link-Up is ongoing and updated at least twice weekly to remove expired giveaways. The answer comes down to simple probability. While companies host huge sweepstakes and contests that receive hundreds of thousands of entries, a blog giveaway typically has far less entries. Less entries means that those who enter have a greater chance of winning! Plus, many blogger giveaways have the option to come back for daily bonus entries, which give you an even greater chance to winning a prize. Looking for giveaways to enter? Browse through the list of live giveaways below and click on any that you are interested in entering. Once you click them the giveaway will open in a new tab. After entering the giveaway close out that tab and return to this link up to find the next giveaway to enter. Also, be sure to bookmark this page to come back daily so you can keep up with the latest giveaways. Include end date and location in the title. For example, $100 Amazon Gift Card Giveaway (10/31 US) or $50 Beauty Prize Pack Giveaway (12/15 WW). Refrain from posting duplicates. Even if a giveaway has multiple co-hosts, it should only be listed on the link-up once. Duplicates, referral links and giveaways without a date in title will be deleted without warning. If I find that someone is repeatedly not following theses simple guidelines I will be block them from posting their giveaways in the link-up. Sharing is caring (and very much appreciated)! Share this blog giveaway link-up via the buttons on the sharebar or by tweeting below.